Today (25 February) Widnes Vikings unveiled a special edition black and white playing jersey that will be worn by the team at the First Utility Super League Magic Weekend at St James’ Park, Newcastle on May 30th 2015. The jersey features the Sir Bobby Robson Foundation logo and 100% of the proceeds from the sale of the shirt will go to the charity. Newcastle United football legend Peter Beardsley, who is also heralded for his sporting genius on the pitches at Everton and Liverpool, close to Widnes Vikings’ home ground, unveiled the Vikings’ Magic Weekend shirt with Vikings players Willie Isa, Phil Joseph and Danny Craven. Newcastle is a city synonymous with black and white club colours, the same colours the Vikings wear with pride. Ahead of the fixture at St James’ Park it seemed fitting therefore to flip the traditional Vikings’ hoops to stripes, to acknowledge the Magic Weekend hosts and the ‘black and white passion’ in Newcastle. The RFL has a one-year agreement to host Magic Weekend at St James’ Park in 2015. As the future location of the event has not yet been decided, Widnes Vikings wanted to ensure that the event this year has maximum impact and that there is a lasting legacy for both Widnes Vikings and the sport of rugby league in the city. It is the Vikings’ intention that the shirt will help to raise awareness of the Sir Bobby Robson Foundation’s fantastic work to find effective ways to detect and treat cancer. The charity funds projects, including the clinical trials of new drugs, that directly benefit patients from across the North East and Cumbria and which contribute significantly to international research into cancer. The Parcel Centre, Widnes Vikings’ principle sponsor, kindly agreed to vacate the front of the commemorative shirt to create space for the Sir Bobby Robson Foundation logo. The Vikings kit supplier, O’Neills Irish Sportswear, has reduced the wholesale cost of the limited edition shirts by an additional £5 per garment to ensure that the charity can benefit as much as possible from this initiative. Liz Luff, from the Sir Bobby Robson Foundation, commented: “We’re thrilled that Widnes Vikings have chosen to support the Sir Bobby Robson Foundation with their special shirt. Sir Bobby was a fan of many sports and I’ve no doubts he would have been interested in seeing rugby league being played at St James’ Park. Widnes Vikings are immensely proud and privileged that Peter Beardsley has agreed to be an official Widnes Vikings Ambassador in the lead up to the First Utility Super League Magic Weekend in May 2015. Peter commented on today’s shirt launch initiative: “The Sir Bobby Robson Foundation is a charity which is close to the hearts of everyone in Newcastle so it’s great to see Widnes Vikings offering their support ahead of the Magic Weekend at St. James’ Park. The Widnes Vikings players were joined in Newcastle by the Vikings’ Community team who spent the afternoon engaging with Walker Technology College pupils through their delivery of the ‘Sky Try’ rugby league programme. Over 100 children took part in the initiative. Stu Walker, Academy Football Coach at the College was delighted for the youngsters to get a taste of rugby league ahead of the Magic Weekend. Brian O’Connor, Widnes Vikings Marketing Director said: “I would like to offer a huge thank you to Peter Beardsley and Liz Luff for the support that they have given to this project since the outset. 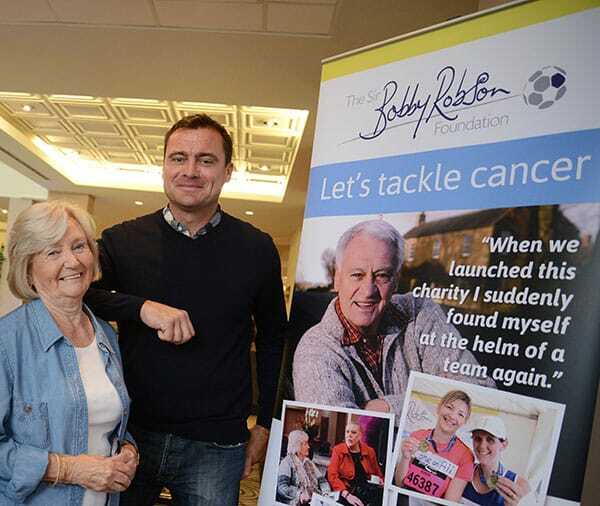 I hope that the Sir Bobby Robson Foundation will benefit immensely from our initiative. 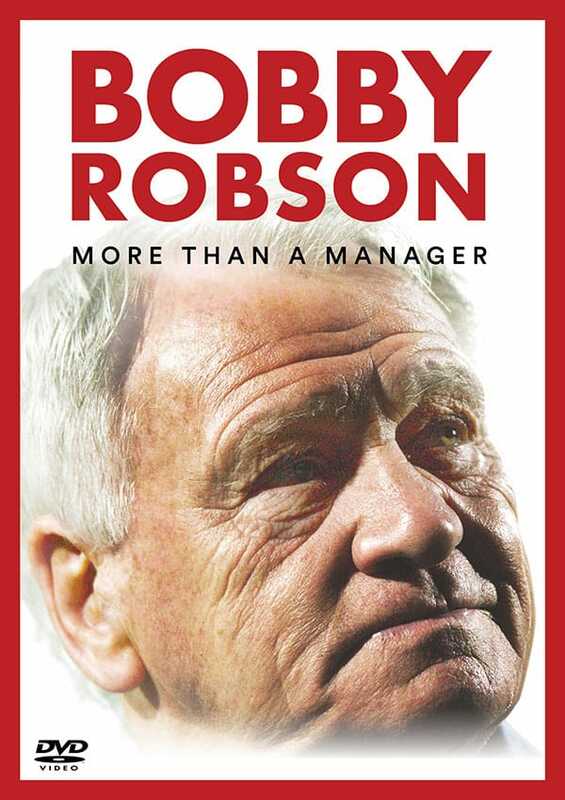 We hope the Vikings’ Magic Weekend shirt is well received at home and in the North East and that supporters of both clubs will get behind this initiative and wear their special ‘Sir Bobby Robson Foundation ’ shirts with pride. Sports fans in Newcastle are renowned for their passion in the UK and throughout the world. It would be fantastic to have their support as we run out onto the field for the opening game of Magic Weekend at St James’ Park on May 30th 2015. Pre-orders placed before 12pm on Wednesday 4th March will be guaranteed delivery by April 1st. Tickets for the Magic Weekend are available from the Vikings on 0151 495 2250.